I have a sweet spot in my heart for US Companies dedicated to making products in America. I've seen a growing trend in start-up clothiers in the US, one of which is Made Collection. Based out of Boulder, CO, each product listed (which includes apparel and accessories for men and women, as well as home goods) shows you how many US workers you'll support by purchasing that product. In addition, you can boost your 'boom score' with each purchase, which gives you a running tally of your positive impact on America. I loved the heathered gingham shirt, the Canby wooden sunglasses (because who else would have these??) and the reversible prairie bow tie, among other items. Check this place out, you'll automatically feel better knowing you're buying American-made! What a great company! Can't wait to check out their products! 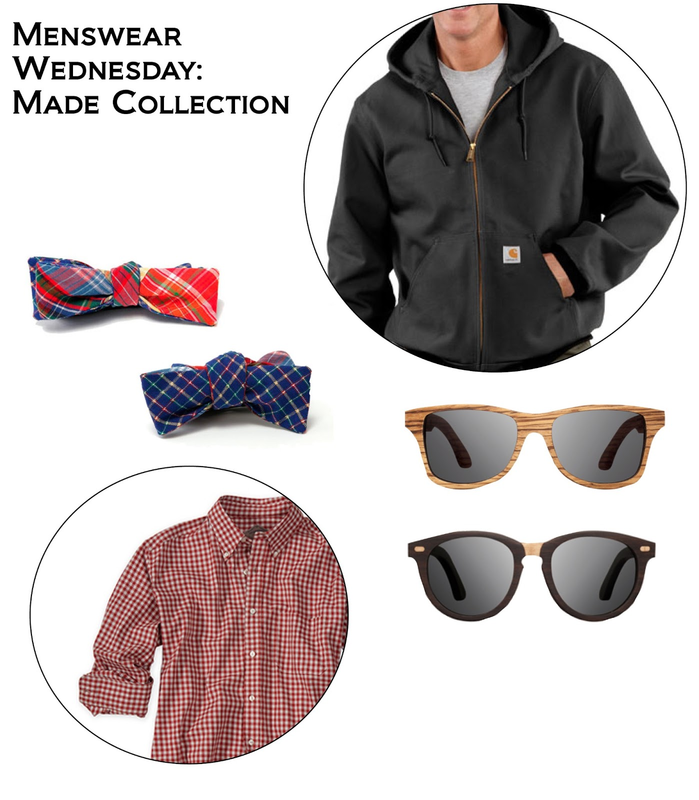 Menswear Wednesday: General Knot & Co.